The Massachusetts Department of Conservation and Recreation has awarded HBI a grant of $20,000 to complete redevelopment feasibility studies of two underutilized DCR historic buildings in its Boston. 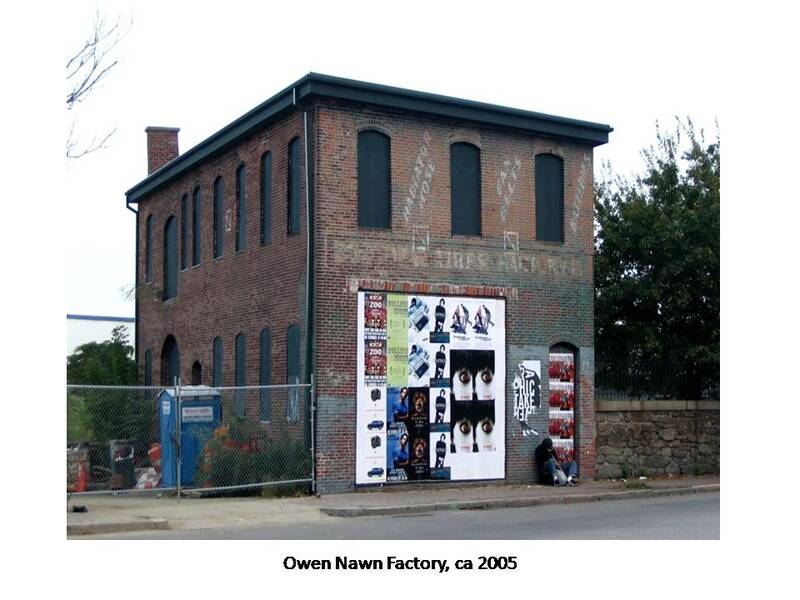 The Charles River Speedway, located along the Charles River in North Allston, and the Owen Nawn Factory in Roxbury’s Dudley Square will be the subjects of preservation and financial analyses that will help determine each site’s potential for re-use. HBI was one of 31 Massachusetts organizations in 24 cities and towns to receive a portion of $1 million Partnerships Matching Funds from DCR Commissioner Edward Lambert at a ceremony yesterday at the State House. The Partnerships Matching Funds Program accepts applications from Friends groups and other park advocacy, civic and community organizations, institutions, businesses, and individuals interested in improving the Commonwealth’s natural, cultural, and recreational resources. Grants will support a wide variety of capital investments in DCR-owned properties. Roxbury’s Owen Nawn Factory is located on Washington Street at the northern entrance to Dudley Square and is a reminder of this section of Roxbury’s commercial industrial past. A two-story brick commercial manufacturing building erected in 1880, the building is part of the Eustis Architectural Conservation District and is listed on the National Register of Historic Places. 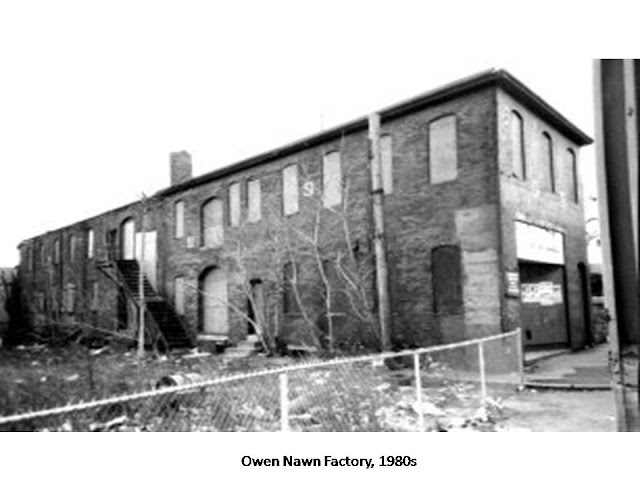 The building was named for its owner and builder, Owen Nawn, a Roxbury contractor who was also responsible for building some of the elevated transit line and related structures at Dudley Station in 1901. The factory building has been vacant for nearly 30 years and has suffered considerable deterioration from several fires and exposure. Today’s building represents only one-third of its original size. It is also hampered by mixed land ownership between the City and DCR. 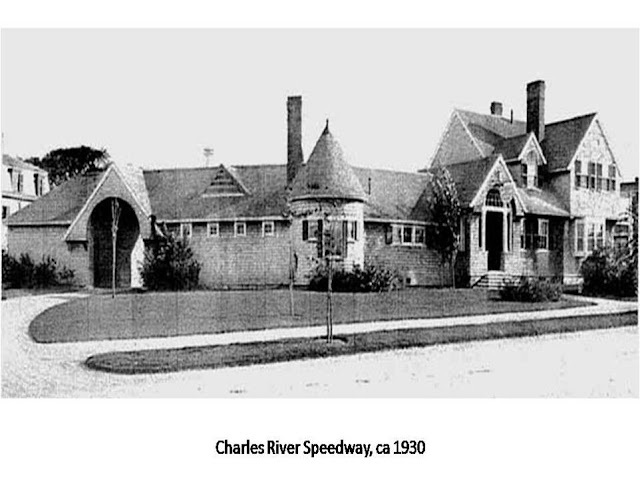 The Charles River Speedway is a complex that consists of 6 buildings built between 1899 and 1905 and located on Soldier’s Field Road in Allston. It is notable for its representation of the earliest development on the Charles River Basin for recreation by the Metropolitan Parks Commission. The MPC was the first in the country to create a regional park system and the Speedway exists as one of the earliest MPC structures. The complex was designed to support horse and buggy racing at the adjacent Speedway, a scenic drive with a bicycle path, and a pedestrian promenade. It is listed on the National Register and currently pending Boston Landmark designation. 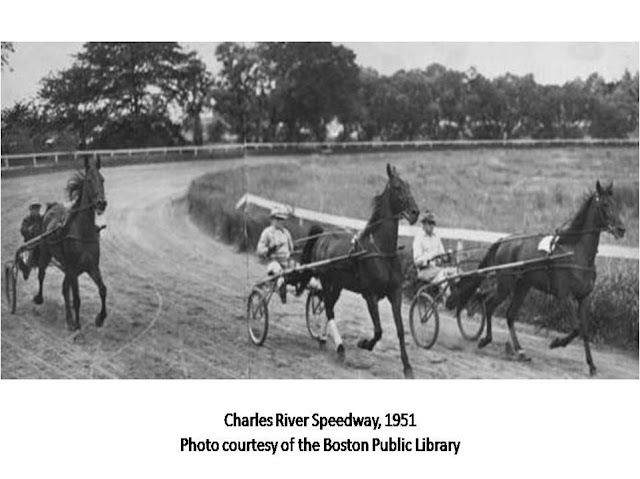 The Speedway was designated as one of the Commonwealth’s Most Endangered Historic Resources last fall by Preservation Massachusetts, as part of that organization’s annual program. For more images of the Charles River Speedway, see this Boston Globe slideshow and Preservation Massachusetts’ Flickr Page. HBI also congratulates the Friends of the Agassiz Road Shelter in the Fenway section of Boston’s Emerald Necklace for securing Partnership Funds for a transportation study related to that building’s preservation and re-activation. HBI has supported the effort to rehabilitate the building, also known as the Duck House, through a June 2009 Design and Use Charette.